Aside another project, I created a nice playful accessory. 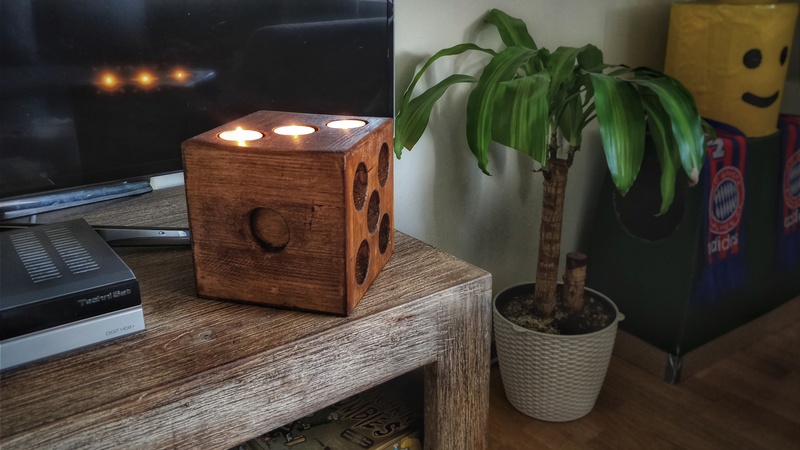 A wooden dice mount tealights. 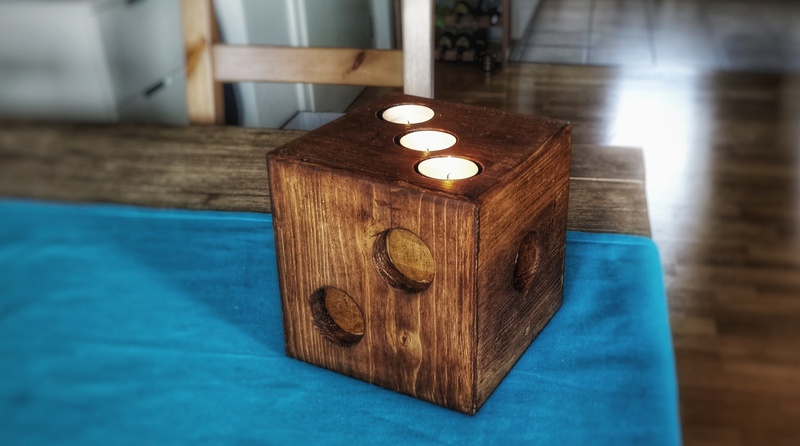 Simple spruce timber with walnut wood stain.